A new breed of titled European is coming to New York, where they discretely launch careers and enjoy a paparazzi-free life. 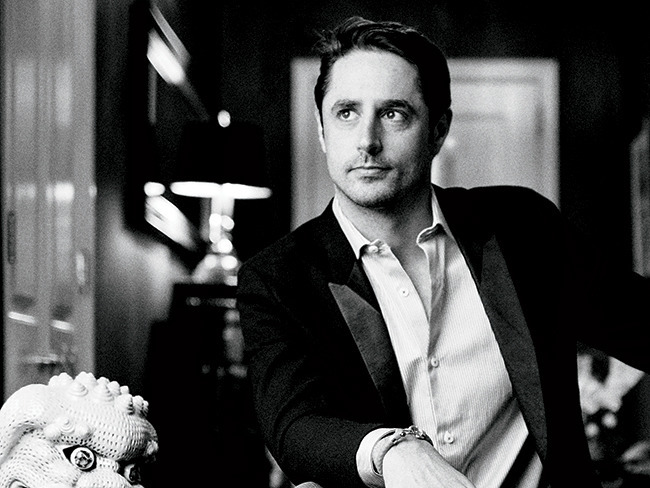 Prince Lorenzo Borghese launched several businesses since coming to New York. 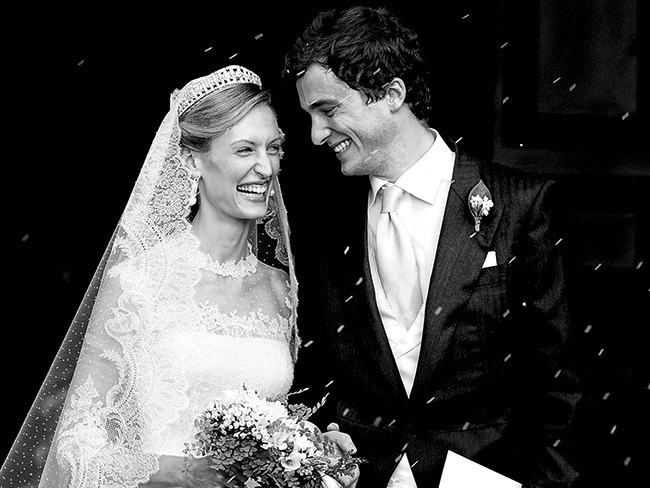 There wasn’t much about the wedding of Amedeo d’Aviano, a young analyst at Deloitte, and Lili Rosboch, a freelancer covering arts and lifestyle for Bloomberg News, that would have made it stand out for the editors of The New York Times wedding section in search of a great love story to feature that weekend. After all, in a city filled with Ivy League wu?nderkinds and the offspring of the city’s literati and glitterati, they were simply two more attractive 20-somethings about to tie the knot. Of course, the marriage that same day of Prince Amedeo of Belgium, Archduke of Austria-Este, and Elisabetta Maria Rosboch von Wolkenstein was quite another matter. The groom is sixth in line to the throne of Belgium, and his uncle, Philippe, the current king, attended the nuptials; the couple was blessed by Pope Francis just prior to the announcement of their engagement. The bride’s lineage isn’t too shabby either: She is descended from a line of Italian princes who became publishing magnates in the 20th century; her aunt is Marella Agnelli, her relatives include aristocratic Italian film producers, and she’s the heiress to a pharmaceutical fortune. Little wonder that nobility from across Europe—and paparazzi to match—showed up to attend their wedding last July in Rome. The twist? Amedeo d’Aviano and Lili Rosboch are their Imperial and Royal Highnesses, Prince Amedeo and Princess Elisabetta of Belgium. Princess Elisabetta and Prince Amedeo of Belgium, Archduchess and Archduke of Austria-Este, known professionally in New York as Lili Rosboch and Amedeo d’Aviano. Welcome to the new world of royalty, 21st-century style—and to New York, which makes it possible for young nobles (even those in the direct line of succession to a still-existing throne) to lead remarkably normal, everyday lives. For some, like Amedeo of Belgium—who, with his bride, returned to his home country after the wedding—the experience may last only a few years. But while it did, it gave him a taste of something that most young royals have only recently begun to seek out and to savor, something they may still only find possible in a city like New York: anonymity. The prince and his girlfriend, later his fiancée, lived their New York lives in a way that they couldn’t have done anywhere in Europe, where photographers would have dogged their footsteps. They spent their downtime doing just what most young New Yorkers like to do: going to the movies, visiting art galleries, trying out new restaurants, and cooking for friends. When Amedeo ran the New York Marathon in 2011, he was just another face in the crowd. The titled set goes to work: Princess Eugenie of York is on staff at Paddle8, the online auction site. Amedeo d’Aviano and Lili Rosboch aren’t alone. Rather, they are part of a small but steadily growing number of young royals and the offspring of European aristocrats who are heading to New York, not to see and be seen as standard bearers for a glittering social life, but for precisely the opposite reason. They represent a new kind of titled European who views the city as a launching pad for a career; a place where they can build a reputation for what they can do rather than for their ancestors’ titles. You’re more likely to find them on LinkedIn than in the Social Register, and going for a stroll on the High Line or checking out the new Ethiopian restaurant in Queens than flitting from one ball or designer boutique to the next. Consider the British royal family. Although Queen Elizabeth is generally considered to be one of the world’s richest individuals, the wealth doesn’t spread itself evenly throughout the family. Her second-born son, Andrew, Duke of York, receives an annual allowance of about $400,000 to cover his personal expenses and in recognition of his own official engagements. That may seem like a lot, but it isn’t enough to allow his two daughters, Princess Beatrice, 26, and Princess Eugenie, 24, to live in the lap of luxury, even if that’s what they wanted to do. It seems clear that this isn’t what the York princesses had in mind, anyway. While Beatrice has chosen to work for Sony Pictures Television in London, Eugenie bolted for New York last summer and is happily living the life of a typical downtown 20-something. Working for the Paddle8 auction house in the NoHo district, she has been spotted soaking up the atmosphere at Knicks games, noshing on pizza slices while walking down the street, living in the Meatpacking District, and dining with one or the other of her visiting royal parents at hangouts like ABC Kitchen. 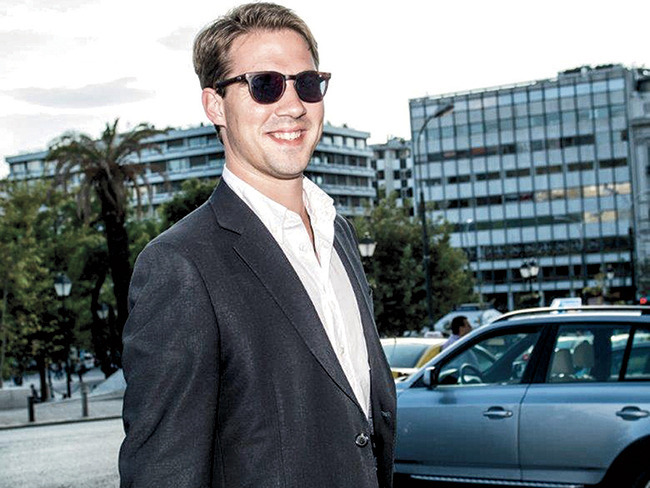 Prince Philippos of Greece is an analyst at a hedge fund in Midtown. While these young aristos may be independent financially, no one is going to mistake them for the huddled masses anytime soon. Like Eugenie, they come with gilded pedigrees (she’s seventh in line of succession to one of the oldest thrones in Europe) and sometime impressive academic credentials (Prince Amedeo graduated from the London School of Economics). 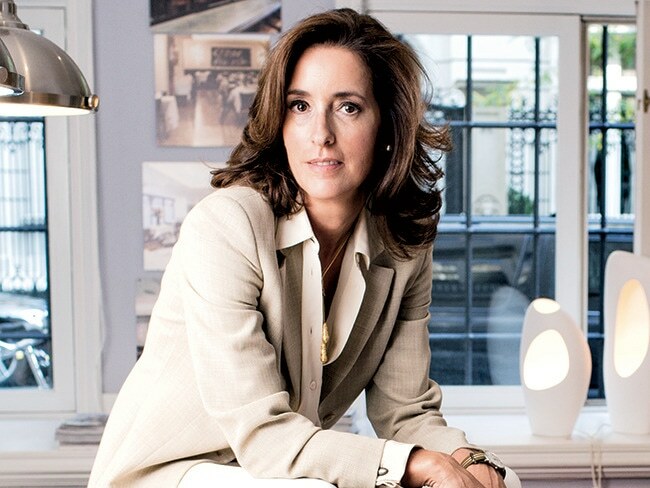 Still, “Things are much more intense, much more competitive than they were in my parents’ generation,” says Chloe Crespi, the 37-year-old granddaughter of international fashion icons Count Rodolfo and Countess Consuelo Crespi. “A family name gets you the meeting, but it doesn’t get you the job,” much less guarantee success once you’re hired. The family name may have landed Prince Philippos of Greece, 28—the youngest son of Greece’s last monarch, Constantine II—on any number of lists of “most eligible royal bachelors” alongside England’s Prince Harry and, until recently, Belgium’s Prince Amedeo. But on Wall Street, where Philippos works, it’s P&L and not pedigree that matters. Following in the footsteps of his older brother, Crown Prince Pavlos, Philippos has set out to forge a career in finance and works at a hedge fund in Midtown as an analyst. A golden contact list is certainly welcome, but it’s not going to shield him if he can’t pull his weight, generating investment ideas and protecting the fund’s assets. Chloe Crespi chose photography as a career. In some cases, they’ll actually end up launching the company. The name “Borghese” may be more familiar in Rome, where visitors can see it carved on the façade of St. Peter’s Basilica (Camillo Borghese became Pope Paul V in 1605) or stroll through the Borghese Gardens. Prince Lorenzo Borghese brought the name to New York in 1997 at the age of 25. “If you really want to build your name, the best place is New York City,” he declares. “There is so much business here and so many connections.” It was while attending Fordham’s business school that the young aristo devised his idea for an upmarket brand of organic pet products, Royal Treatment, which he launched in 2002. Lorenzo, emulating her rather than the Italian aristos who have stayed safely at home behind their palazzo walls, has since branched out in business, adding a clothing line, a beer, and some privatelabel cosmetic products; he’s now working on a disposable bird feeder. He also has set up a charity, Animal Aid USA, which he calculates rescues 150 dogs each month from high-kill shelters. There’s “nothing wrong with using your contacts and your background to try to get ahead, but you have to work and you have to give back,” he insists. That’s true even if that “self” is still pursuing more traditional royal pastimes, like philanthropy. Consider Princess Madeleine of Sweden, fourth in line to that country’s throne, who moved to New York only a few years ago to work for the local offices of World Childhood Foundation, a nonprofit organization founded by her mother, Queen Silvia. With so many other people in the city, Madeleine has said, “I feel like I blend in. I can walk down the street and nobody is looking at me.” That did change, briefly, after Madeleine announced her engagement to New York financier Chris O’Neill, but since their wedding last year, the two have largely resumed living a quiet life in Manhattan. The birth of their daughter, Princess Leonore, at Weill Cornell Medical Center on February 20, 2014, may change that: To retain her position as fifth in line to the throne, baby Leonore will have to live in Sweden during her upbringing. It couldn’t be more different from the New York of the 1970s and 1980s that royals sought out. “In the ’80s, people just wanted the good life,” says Marc de Gontaut Biron, a veteran New York City party promoter. Back then, the parties that Biron—himself a count and the descendant of an aristocratic French family—organized featured those more likely to show up in glossy magazines for being famous or for their titles than for their work: Princess Caroline of Monaco, for instance, or Gloria von Thurn und Taxis. 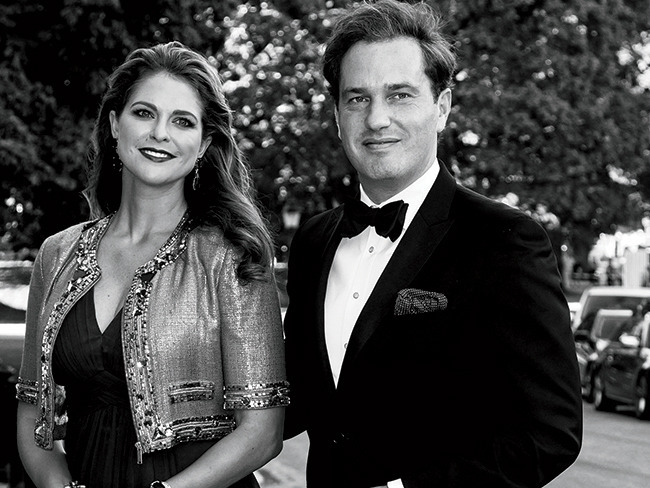 Princess Madeleine of Sweden with her husband, New York financier Chris O’Neill. Today’s younger royals and aristos are keen to make those achievements matter. Baron Otto von Bismarck, the Prussian statesman who welded together the country that today is Germany, might be taken aback at the decision of his descendant, Vanessa von Bismarck, to make her way in New York. But the latter, a graduate of the London School of Economics, now runs a successful public relations company specializing in fashion and luxury goods. The Belgian Countess Elisabeth de Kergorlay has launched a line of gourmet frozen foods, which she sells from a shop, Babeth’s Feast, she just opened on the Upper East Side. And why wouldn’t one of today’s young royals, restless and eager to experience the world, knowing life behind palace walls is no fairy tale, find that just as tantalizing a prospect as any of the rest of us?